A 90-minute Hot Yoga class isn’t necessarily as effortless as it may seem — actually, it can be really tough! Proper preparation helps ensure that you’ll have the best possible experience in those challenging 90 minutes. But what does proper preparation really mean? Eliminating distractions with the right gear, getting in the right mindset, eating with enough time to digest….and oh yea, hydrating. We’re talking hydrating before, during, and after class. Did we mention hydrating? In all seriousness, all of these factors play an important role in making your yoga class the best it can be! How long you last standing in class before doing the unthinkable, sitting down (or worse, walking out of the room), has a lot to do with how much water you drink before class. I know I said it before, but I’m gonna say it one more time: hydrate, hydrate, hydrate. If it wasn’t one of your go-to mantras before, it should definitely be one now. Why, you ask? Weigh yourself before and after a hot yoga class and the answer is on the scale. You lose a lot of liquids in a hot yoga class, so bringing water to class with you, along with drinking before and after, can make all the difference. I highly recommend the Fitletic HydraPocket or Hydra Palm to accompany you to all your classes! The HydraPocket is a hydration handheld that acts as both a lightweight pouch to store essentials and offers a leak free bottle with an easy flow spout (it’s also a BPA free and dishwasher safe bottle). The Hydra Palm is also a hydration handheld, but it has a unique inner pocket to fit your ID, credit card, and your smartphone. In addition, the Hydra Palm is designed with water resistant neoprene materials. You don’t even need to fill your bottle with water! Actually, drinking coconut water has made a huge difference in my hot yoga experience because I get all the electrolytes I need after a 90 minute class. If you’ve ever heard the phrase, “You are what you eat,” then you know how important it is to give your body the right kind of fuel before a workout. Eating an hour or two ahead of time is usually the rule of thumb so you don’t get queasy in that standing forward fold. In conjunction with staying hydrated, making sure you’re eating clean, healthy foods not only helps with dieting and weight management, but can be the difference between a good workout and a great workout. You won’t just feel better, you also won’t be distracted by an uneasy stomach. Focus on you-time and eliminate any distractions by storing your essentials in one place. 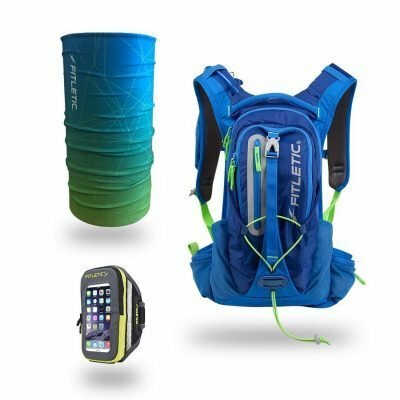 Instead of throwing your stuff into an unlocked locker that isn’t secure, or keeping your phone hidden under a towel in class, wear the Fitletic Blitz. 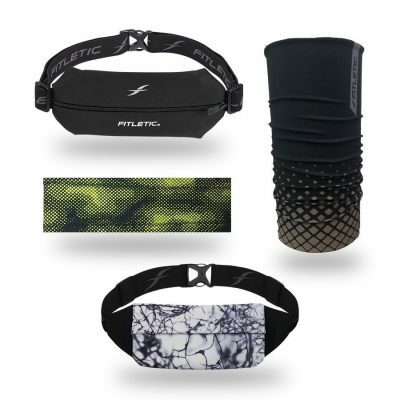 The Blitz is a unisex waistband with a single pouch; the motto is zip, clip, and go! It has a soft Dual-Adjust waist belt with a convenient earphone port, and it fits your smartphone of course. 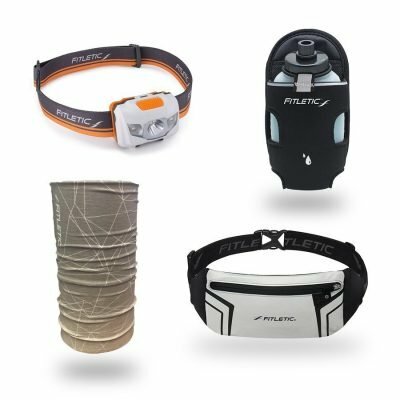 You can even stick the Fitletic Hydration Add-on on your Blitz belt for optimal use. 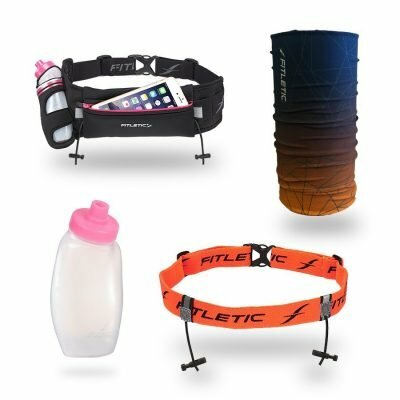 If you have long hair, or just want to spice up your yoga getup, a Fitletic headband is a great way to keep your hair out of your face and look good doing it! Ever had your hair fall into your face during a pose like toe stand when you need full concentration? It’s no fun. My personal favorite solution is the Marble headband — it matches perfectly with white or black leggings and a crop top/bra. Listening to your favorite playlist pre-yoga class can really get you in the right mood. It’s great for achieving a balanced, ready, and prepared-for-anything mental state, especially if you’re taking a 90-minute Hot Yoga class where there is little or no music played. Silence for an hour and a half during a tough workout is asking a lot. Listening to music beforehand can help out with motivation in the long run. LOVE these Hot Yoga tips…great advice, I use them all!! 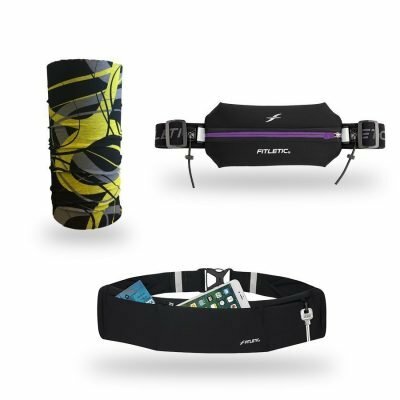 And use my Fitletic headbands..and the blitz to carry my phone and cash in. ?